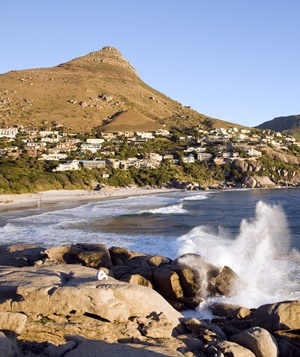 This classical Cape Town, Kruger & Victoria Falls 9-day itinerary brings together the highlights of Southern Africa. The first 4 nights of your holiday will be spent in Cape Town, the ‘Mother City’ and a ‘must see’. You will be staying in the prime location of Camps Bay, across the road from one of Cape Town’s most iconic beaches and flanked by gorgeous mountains. It is easy to spend your time lounging on the beach and exploring the restaurants and bars in the area. This itinerary includes a full day trip to the Cape Winelands, as well as full day tour of the Cape Peninsula, including a visit to the local penguins in Simon’s Town. With so much to offer, your 4 night stay is sure to provide the perfect start to your Cape Town, Kruger & Victoria Falls holiday. From Cape Town you will be taking a direct flight to Skukuza airport in Kruger, for the next part of your holiday adventure. 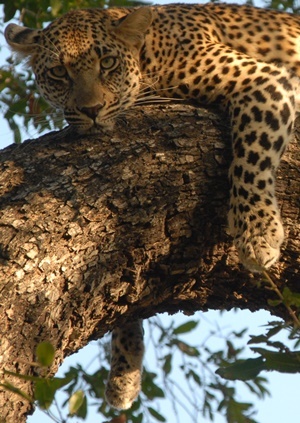 Here you will have a road transfer through the Kruger park to MalaMala, a classical game resere, offering South Africa’s best big five game viewing. You will be spending 2 nights here which includes daily game drives with your qualified safari guide and ranger. 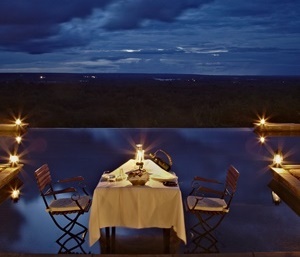 The last 2 nights will be spent in the Victoria Falls (Zambia), yet another of Africa’s iconic ‘must visit’ destinations. 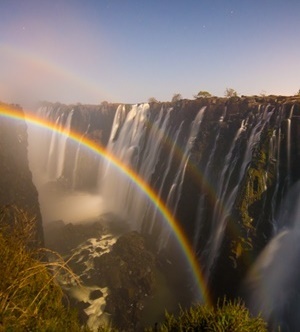 And easy flight connection takes you directly to Victoria Falls where you will stay at Stanley’s Safari Lodge and be treated to a tour of the magnificent Falls. Your stay also includes either a picturesque sunset tour on the Zambezi River, or a village and museum tour, where you will learn about the rich culture and history of the region. With direct flights connecting all these classical destinations, travel could not be easier! Less days travelling means you could easily add on a few more days in Botswana, transforming your Cape Town, Kruger & Victoria Falls holiday into a real southern Africa adventure! Upon arrival at Cape Town International, a quick 30 minute transfer will get you to Camps Bay, Cape Town where you will be spending the next 4 nights. Your stay includes a full day private Winelands tour allowing you to visit some of South Africa’s finest wine estates and we highly recommend lunch at La Petite Ferme in Franschhoek! Another full day tour of the Cape Peninsula takes you to the penguins and Cape Point. Staying at the Bay Hotel with direct access to the beach and a wide selection of great restaurants an easy stroll away ensures a prime location! Breakfast is included. After breakfast you will be taken to the airport for the flight to Kruger where a representative will meet and take you through the reserve to MalaMala which promises to offer phenomenal game viewing! On the day of arrival, after lunch, your ranger will take you on an afternoon game drive, arriving back early evening. The next day you will enjoy a morning and afternoon game drive, allowing the day time to relax, enjoy a massage and just absorb the tranquil bush surrounds. Accommodation is at MalaMala Main Camp including all meals and game activities. After the morning game drive you will transfer to the airport for the direct flight to Victoria Falls (Livingstone, Zambia) spending your last 2 nights here. A friendly representative will meet you at the airport and take you to the lodge. Your stay at Stanleys Safari Lodge includes a tour of Victoria Falls and then you have the choice of either a sunset cruise on the Zambezi or a village and museum tour – both great options! All meals and local drinks are included in your stay. Today is the last day before returning back to the ‘real world’. You do still have the morning to enjoy the last bit of the ‘Smoke That Thunders’ which is the found name given by explorers for Victoria Falls. A direct flight gets you into Johannesburg airport by late afternoon allowing comfortable time to connect with an evening flight back to London.